Summary: Having the right tools for the job not only increases production, it can help prevent personal injury. The auto mechanic in the picture above risks life and limb to change over an oil pan to a newly rebuilt engine. 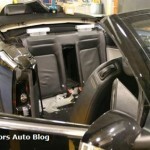 Technicians that have been working on cars for years are not exempt from making rookie mistakes. In fact older auto tech’s with more years in the field, may be more prone to taking some risks simply because of complacency. 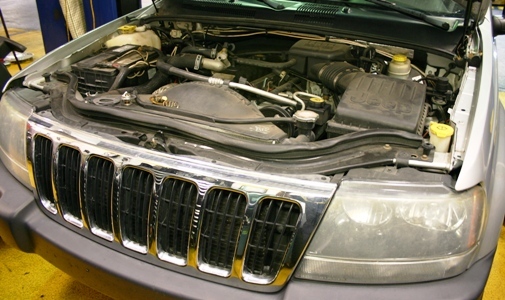 2003 Jeep Grand Cherokee 4.0 Liter Engine with a P1281 Code. This automotive repair article is on a specific check engine light code for a Jeep Grand Cherokee. When scanned with an automotive scan tool, a P1281 fault code was retrieved. The code has to do with the engine not reaching operating temperature within a certain length of time after the vehicle has been started. For the catalytic converter to operate at it’s best the engine needs to reach it’s normal operating temp. The cooling system’s thermostat normally stays closed when the engine is cold, allowing the motor to warm up quickly. That’s why the trick of removing the thermostat to let the car run cooler, like back in the 1970’s (prior to on-board computers) doesn’t work well anymore. ©DenLorsTools.com Summary: The Internet has many oil leak stories from customers that have had bad experiences at Jiffy Lube and other auto repair shops throughout the country. Sometimes the oil leak is due to an inexperienced oil lube tech making a rookie mistake, like double gasketing a filter. 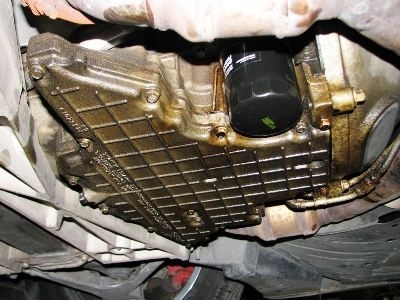 Another common mistake is not cleaning the mating surface of the gasket or using the incorrect oil filter to begin with. These can be horror stories no matter which end of the spectrum you are positioned in. It’s horrible public relations for any repair shop to have a previous patron telling everyone who will listen, how awful their experience was. In their mind if the repair shop was the last one to touch their car, they MUST be responsible! Sometimes this is the case, but other times the repair shop is NOT at fault. The following is what happened several years ago when a customer had his car towed to us after all the oil leaked out, following a Jiffy Lube oil change. This automotive repair blog covers a couple of common fault codes that sets the SES (Service Engine Soon) or CEL (Check Engine Light) whichever term you prefer to use. The codes are a P1131 or a P1151, the P1131 is related to B1 S1 (Bank 1 Sensor 1) oxygen sensor which is located near the firewall on the 3.0 DOHC Taurus pictured above. The P1151 is related to the bank that is located near the radiator. There are several probable causes of these codes, we’ll cover the possibilities to help in diagnosing this particular problem. 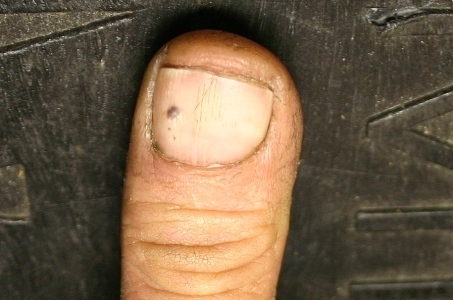 The picture above is of a neglected thumb (Not a nasty middle finger). Our hands are the most valuable tools we possess, it makes sense to protect them. I remember when I first started turning wrenches, you were a sissy and a wimp if you were afraid to get your hands dirty. I used to be constantly exposed to grease, oil, mineral spirits, carb cleaner and brake clean. I recall working I in a 10 bay shop, with the bays lined up in a row. Many times I was 6 to 9 bays away from the nearest sink, where we washed our hands. I would many times use brake clean to spray off my hands, to save time. In addition I was frequently washing my hands with cleaners and hand soaps that would dry my hands out allowing the grime to easily work it’s way deep into my skin. Needless to say, my hands were constantly stained. The only time my hands would really come clean was when I went on vacation, especially to the beach. After a week away from dirt and grime, my hands in the salt water frequently for that week, my hands would finally get back to normal. My wife would always comment “your hands are so clean”. Then back into the grease I would go until another year passed and it was vacation time again. Later in my auto mechanics career, I realized that wearing latex or nitrile gloves were the only way to go. Instead of having to wash my hands before pulling a car out of the shop, all I had to do is take the disposable gloves off and I was on my way. This saved time and made me available for my next job sooner. When using adhesives like super glue or two part epoxy, gloves protect your hands and being able to peel them off quickly, helps prevent getting the adhesive on tools or the customer’s car. 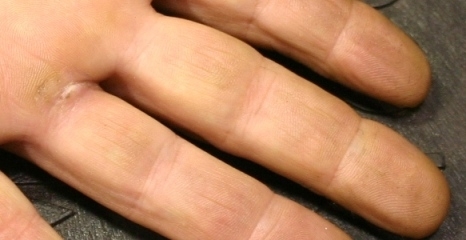 Latex gloves sometimes causes allergic reactions for some people. Nitrile gloves are recommended for those that have sensitivity to latex products. Many new colors are available, including the most recent, I’ve seen…BLACK (Microflex Midknight Black nitrile gloves). Nitrile gloves usually cost a little more, but in most cases they last longer resisting easy tears. At home I’ve found even more uses for nitrile gloves. Doing sprinkler repairs is a perfect example, when it comes time to use PVC solvent and glue, the gloves go on. Nothing seems to be worse about drying your hands out than purple solvent and PVC glue. My wife even likes to have latex gloves on standby in the kitchen. After she makes hamburger patties or cuts up a chicken, she says it’s nice to be able to take the gloves off and throw them away, then you know your hands are safe to go into the utensil drawer. 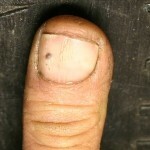 We’ve got one customer that hangs drywall, that’s sold on nitrile gloves. Drywall joint compound can really dry out your hands. He likes the nitrile gloves also because he can still feel what he is doing. He says that since DenLors has free shipping at $199 and no sales tax outside the state of Florida, he’ll keep coming back. Dave Ramsey is becoming more and popular these days, especially with the troubling financial times we are finding ourselves in. 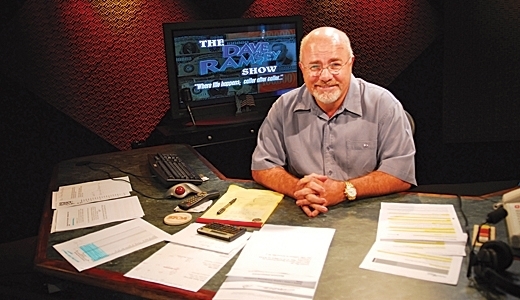 Dave Ramsey is a financial expert and writer, his most popular book is called The Total Money Makeover. He’s earned the title of financial guru by learning the hard way about finances and the risk of going head over heals in debt. Dave was leveraged in real estate investments to the tune of four million dollars over twenty years ago. As fate would have it, he lost it all when his short term loans were sold and the new banks demanded payment before it was possible for Dave to deliver. This experience has caused Dave to change his thinking on loans and personal finance. He now advises people to pay debt off and cut up the credit cards. I personally like his country boy, down to earth, shoot it to you straight mentality. 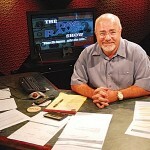 Dave Ramsey reminds me of a teacher that I had back in high school. Frank Gentry, my old marketing teacher, had a similar laid back teaching style. Dave Ramsey’s lessons encourage you to think and grow. Few teacher’s names are remembered years later in life unless they have truly affected your way of thinking and how you view opportunities. Dave, like my old marketing teacher is definitely a “glass is half full” type of guy. If your sick and tired of living your life “pay check to pay check”, then you’ll definitely want to listen to what Dave has to say. VW New Beetle rear quarter window regulator kits are available. 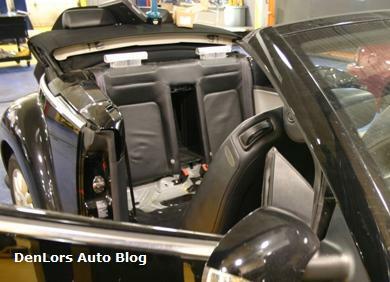 In this how to auto blog, we mention the auto tools needed to complete rear quarter window regulator repair on the VW New Beetle. Fair warning though, this job may be too involved for the average DIY (Do It Yourself-er). Labor time in the Mitchell labor guide calls for 2.4 hours each side ( the first time it will probably take longer) for changing the rear quarter window assembly, no extra combination time is listed for installing the repair kit. Getting this job done at the dealer could cost from six to eight hundred dollars, or around two to three hundred for the repair kit installed. Even if you don’t do this job yourself, at least now you know your options. 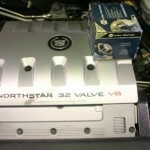 © DenLorsTools.com Summary: This automotive tool blog features a specialty auto mechanics tool for changing the Northstar water pump. 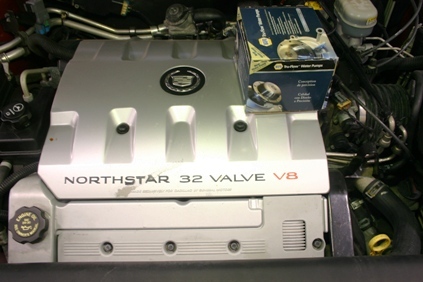 The Cadillac Northstar water pump is located at the rear of the engine. As the picture shows, there is a belt cover over the water pump drive belt at the rear of the front valve cover.